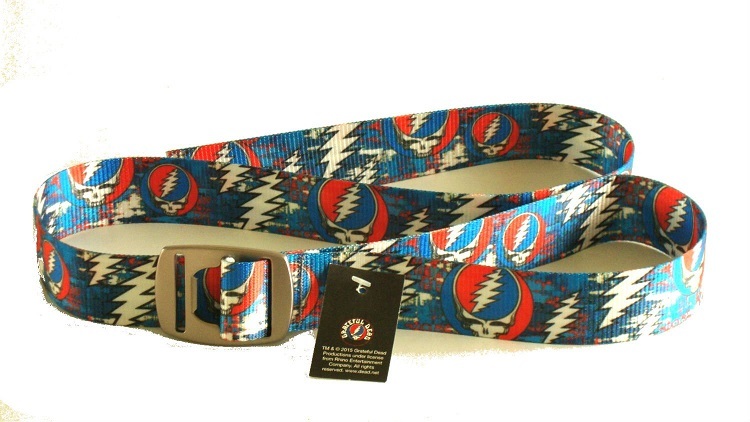 This officially licensed Grateful Dead belt is made from 100% recycled plastic bottles. It's 1 1/2" wide with repeating Stealies and 13 point lightning bolts, and will fit anyone up to a 42" waist.Belt can be trimmed to correct waist size. Buckle doubles as a bottle opener. Brought to you by our friends at Croakies.